Gavaskar was all praise of the former cricketer for his exquisite abilities. The auction for the 12th edition of the Indian Premier League (IPL) took place in Jaipur on Tuesday. While the stakes were high for some of the T20 superstars across the world, the franchises surprisingly opted to spend more on the Indian uncapped players. Varun Chakravarthy, the mystery spinner from Tamil Nadu, was the most expensive buy of the day along with Jaydev Unadkat. No wonder the utility players go big in the IPL normally. 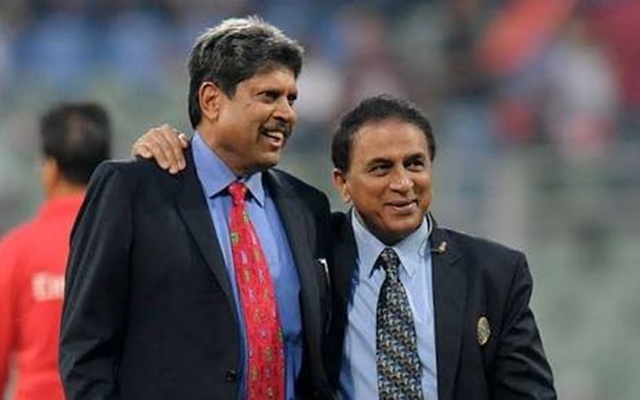 However, the former Indian cricketer Sunil Gavaskar feels if Kapil Dev would’ve been playing now, then he could’ve managed to surely rake in a huge bids. He also went on to say that India’s first World Cup winning-captain would’ve attracted a bid of Rs 25 crores in the auction. “That 175 is the greatest knock in ODI history I have seen as a player and as a commentator… I have never seen a better inning. The situation we were in…We were 17 for 5. It was cold and the ball was moving. It looked like we would be bowled out for 70 or 80. Kapil did not play any lofted drives till he reached 80. It was amazing to see him those sixes. He would have gone for Rs 25 crore in the IPL today,” he said while speaking to Aaj Tak. Sunil Gavaskar is spot on with his comments here as Kapil Dev was one of the best all-rounders of his time. His ability to swing the ball and then come down the order at seven to smack the ball all around the ground would’ve made him one of the most sought players in the auction. Having said that, no team would’ve taken a risk of releasing a player like Kapil and put him back in the auction. MS Dhoni is one such player who has never entered the auction after the first season. He has led the Chennai Super Kings in all the nine seasons he has played for them and won the title thrice, the latest being the 2018 season.